With the vote for recreational legalization on the horizon and the passing of new regulation on the medical industry, investors and edibles companies nationwide are eyeing the market in California. And with good reason: sales from the medical market are expected to exceed $1.5 billion in 2015 according to Brightfield Group estimates, with sales of edibles alone hitting a quarter of a billion dollars. Should recreational marijuana initiatives pass, by 2019 the edibles market alone will rake in $1.3 billion. What's even more interesting is the level of fragmentation in the competitive environment in the California edibles market right now. Despite being home to some of the nation's largest and most sophisticated edibles brands like Kiva, Bhang and Venice Cookie Company, the ten largest edibles companies make up less than 25% of the market, leaving room for much expansion and consolidation by new and established players alike. The new regulations, signed into law by Governor Brown October 9th, will create significant consolidation in the industry. Licensees can choose either vertical integration with a small number of dispensaries or horizontal integration with an unlimited number of dispensaries per licensee. This will prevent a handful of companies from dominating the grow, manufacturing and retail spaces but certainly does allow for the establishment of chains of dispensaries to develop, tapping into this massive market. With the new regulations in place, law enforcement stands a much greater chance of being able to control the unlicensed dispensaries throughout the state, most notably in Southern California, giving way to an exponential increase in potential revenue for license winners. In Los Angeles, more than 800 dispensaries and delivery services are currently operating, despite Prop D specifically restricting the number to 135 dispensaries and no delivery services. Should the additional 665 be shuttered (and not reopen down the street a week later), this would mean a massive boom in business for the remaining dispensaries. This consolidation in the dispensary scene will not only be a game changer for dispensaries and their investors, but for manufacturers as well. They will face their own initial challenges (such as finding localities that will agree to license them) but this will be a game changer for their distribution process. Imagine having to negotiate with only a couple of hundred dispensary chains rather than almost 2400 to get your products stocked throughout the state; this will greatly streamline the system, driving down costs. However, there will be many fewer points of entry for the small local brands or new guys entering the market. The California edibles market was already headed towards consolidation, but the new regulations will certainly speed up this process considerably. Many companies see the massive size and market potential in California and go into land grab mode, thinking that as long as they get in early they will flourish. They will not. While the market is currently quite fragmented, the strongest brands are gaining serious momentum, rapidly expanding their distribution and doubling their sales every six months. Top brands from other states are now entering or will soon enter the state, bringing with bigger budgets and expertise in distribution and marketing. Spoiled with excellent choices, California edibles consumers are becoming extremely picky and are demanding a laundry list of characteristics from their edibles including discrete methods of consumption, organic inputs as well as high THC and CBD content, while still tasting great, being lab certified and available at low prices. 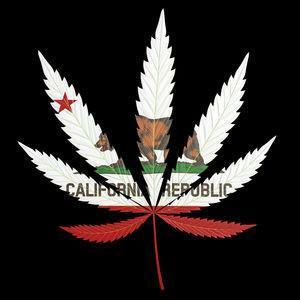 California will soon become a battleground, where the strongest and most sophisticated brands will be constantly competing for their piece in the world’s largest legal cannabis market and only the savviest companies will survive.